Are you looking for Bathroom Installation Newcastle? Stormshield is here to help! 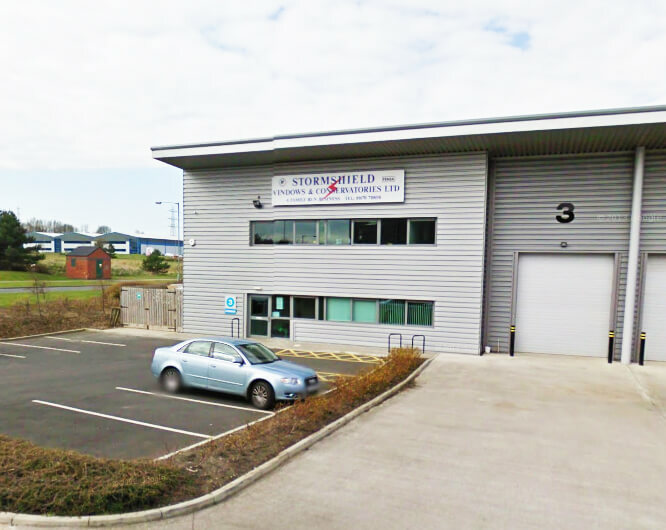 We have been providing our high-quality products and services since the 1980s. We are able to supply and install a comprehensive selection of windows, doors, conservatories, bathrooms, kitchens to those in the North East. As a family run business, we strive to provide every customer with the best service possible. This article details the bathroom installation service we offer! For more information, call our team on 01670 710050. Why Choose to Get a New Bathroom? There are many benefits to updating your bathroom. Firstly, it can increase the value of your home. Renovating or installing a new bathroom allows you to keep up with current trends and fashionable design choices, making it a great choice for the future. It will also generally add to the look and feel of your home. Everyone likes the look of a freshly done out bathroom! It will also give you the freedom to choose a new style that better suits the way you live. For example, choosing between a bath or shower, or deciding to have both. The options are endless and you will be able to discover the perfect bathroom. 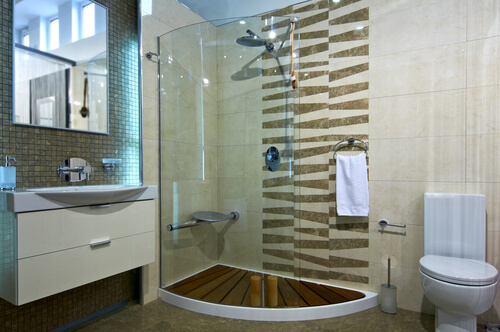 Stormshield offers a wide range of different bathrooms and fittings to suit your needs. Only the best products are selected for our showroom and we aim to highlight a quality selection from the range that we stock. From wall tiles to sinks and showers, the parts that make up a bathroom are vital in creating a finished product. Firstly, you will want to send us over your design ideas and the type of bathroom you’re looking for. We will then be able to look at this and take these ideas to make up a mock up design for the bathroom. Once this has been agreed then we will come out to you at an agreed date and start the fitting process. There are several necessities that every bathroom must have to make it feel complete. Bath or shower, a toilet, sink and any storage that would be beneficial to the user. Beforehand, we ensure that all of the bathroom supplies are going to fit perfectly in the desired room and therefore tailor these items to the size of the room. There’s no point in purchasing a new bathroom with fittings if they are not high quality. We ensure that all of our products go through rigorous quality checks to make certain that they reach our standards for bathrooms. A quality bathroom will be long-lasting and not need replacing for many years, as all of our products come with a 10-year guarantee. Why Stormshield for Bathroom Installation Newcastle? We have been running for nearly 40 years and therefore each of the team has various different experiences to aid them in the day-to-day jobs we do. Along with bathrooms, we can fit windows, doors, kitchens, bedrooms and other home orientated products. We are also proud to offer the popular Guardian Roof! This is a lightweight and insulated roofing system and provides optimal insulation to the home. It is one of the most practical solutions for conservatories. Whether you’re looking to purchase a new bathroom or any of the other products we stock, Make Stormshield your number one choice! With any supplier of a leading brand, you would expect full support throughout the process. We are able to assist with any questions or issues you may have about any service or product. From building approval to the installation procedure, our team is here to help and provide you with the correct answers. If you would like a quote for a Bathroom Installation Newcastle service then please get in touch today! We would love to hear from you.